What is Informatica and informatica ETL Tool for data integration? Informatica ETL tool is a market lead in data integration. Informatica ETL tool is also popular for data quality services. Informatica is very effective ETL and EAI tool with important industry coverage. 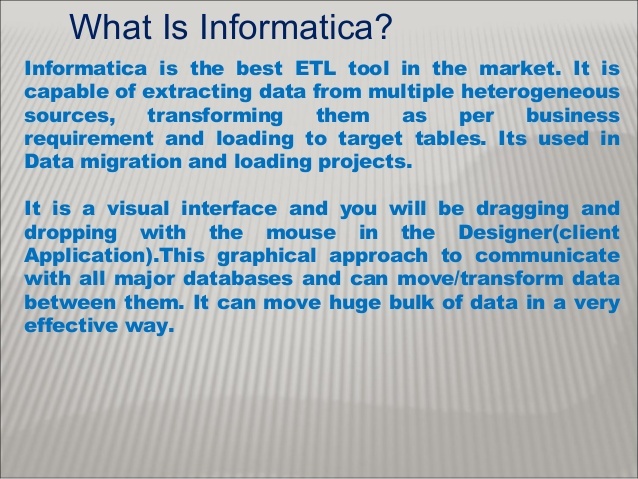 Are you hoping to learn Informatica ETL tool, you have arrived at the right place. In this Informatica ETL tutorial blog, you will learn essential to advance Informatica ETL concepts in very simple way. On the other hand, you can watch the below video by our Informatica ETL Industry Expert along with practical sessions. Data integration is a process which combines data stored in different locations and provides users a unified view of these data. What is Informatica ETL Tool? Now you have to know what is the meaning of ETL in ‘Informatica ETL tool’. It stands for extract, transform and load. 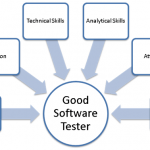 Data integration tools are different from other software tools and languages. They have no inbuilt feature to figure user interface where end user can get the transformed data. Informatica ETL tool has the ability to manage, integrate and transfer organization data. Why is Informatica ETL Tool very popular for data integration? 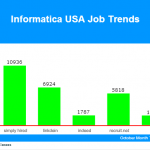 Informatica is very popular because it is capable of lean integration and lean manufacturing. Informatica ETL Tool has high success rate in data integration. Informatica ETL tool is very easy to learn. 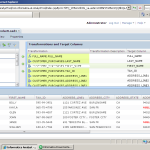 Informatica ETL tool is easily available for data integration. Informatica ETL tool has its own internal scheduler. Many other ETL tools do not have its internal scheduler. Informatica is following mainstream marketing strategy.